Jewellery giant Pandora has declared 2019 as a year of transition as it looks to reignite a passion for Pandora and bounce back from last year’s disappointing revenue. At the end of last year Pandora announced the launch of Programme NOW, a “forceful programme” designed to help the business bounce back from disappointing revenue. Today it has revealed the next steps of this initiative. According to Pandora, a thorough analysis of the challenges facing the company has found that: the brand has high awareness, but lacks a clear positioning; Pandora can improve its relevance to consumers and better deliver on its demands for an inspiring shopping experience; and the firm has an opportunity to leverage its unique product assortment for more impact. A key part of Programme NOW will be to “reignite a passion for Pandora”, building on its strong fundamentals and unique position as one the world’s biggest jewellery brands. 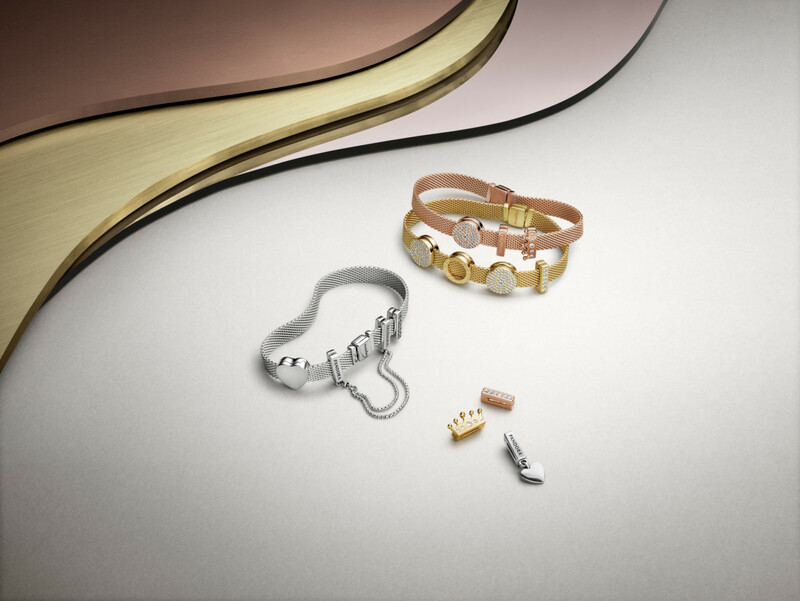 As such, Pandora aims to infuse new energy to the brand, and inspire and attract more people with a passion to collect and wear Pandora jewellery. “Through Programme NOW, we are taking immediate and forceful action to address the disappointing aspects of our financial performance in 2018. We are confident that this company-wide business transformation will reignite Pandora, restore sustainable growth and support our industry-leading margins, states chief operating officer, Jeremy Schwartz. Blurred brand experience: the Pandora brand benefits from high industry awareness, but lacks a sharp brand identity and promise that is exciting for today’s consumer. The concept store and eSTORE experience can be significantly enhanced to drive consumers to engage with the brand. Weak initiatives on charms collecting: in spite of the recent focus on new products, the marketing, visual merchandising and retail execution have not provided new and existing consumers sufficiently strong incentives to buy, wear and collect multiple bracelets and charms, which is the backbone of Pandora’s offering. Over push: increased promotional activity has diluted the brand equity and led consumers to wait for the next promotion instead of buying at full price. Additionally, the increase of new product introductions coupled with an immature merchandising process has led to a cluttered assortment presentation in the stores and a further build-up of inventory. Executional inconsistency: decentralised structures have compromised execution excellence between global direction and local execution and led to a slow upgrading of for example merchandising, omnichannel, store design and loyalty programmes. Programme NOW is a comprehensive two-year road-map designed to respond to the above challenges and to support sustainable long-term growth. As a first step in the programme, Pandora announced a change in its network expansion strategy in November 2018 by significantly reducing franchise acquisitions and new store openings. The change of strategic direction has been successfully executed and no new acquisition deals were signed in Q4 2018. Promotions: To protect long-term brand equity, increase full-price sell-out over time, and create the commercial environment that allows Pandora’s innovation and new marketing initiatives to thrive, the company will reduce promotional activities between the major gifting-retail-promotional periods. The big and relevant gifting promotional periods will remain. This will lead to healthier and more sustainable revenue for the long-term but will have a short-term negative revenue impact. Wholesale inventories: Pandora will support the reduction of slow-moving stock and initiate an inventory buyback programme in selected markets. While Pandora has successfully built a globally recognised brand, there is a need to clarify the brand expression to reignite the traction and heat of the brand, and inspire further desire for charm collecting. This requires a positive brand disruption, ‘Reignite a Passion for Pandora’, and a change in the balance between commercial push (promotions etc.) and consumer pull driven demand. In short, Pandora will materially change the investment and ambition level of all elements of the consumer experience. To fund the growth initiatives and support profitability a total of DKK 1.2 billion (£141.3m) annual costs will be eliminated as a run rate by the end of 2020. Pandora targets cost reductions of around DKK 0.6 billion (£70.6m) OPEX and cost of sales in the calendar year 2019. These cost reductions come on top of the DKK 0.35 billion (41.2m) cost reductions communicated in connection with the Q2 2018 announcement. Execution: Total restructuring costs of up to DKK 2.5 billion (£294.4m) over the period 2019 and 2020. Pandora expects up to DKK 2.5 billion (£294.4m) in restructuring costs during 2019 and 2020 of which up to DKK 1.5 billion (£176.6m) will be expensed in 2019. The majority of the restructuring costs will be cash based. READ PROFESSIONAL JEWELLER’S EXCLUSIVE INTERVIEW WITH THE UK MANAGING DIRECTOR HERE.